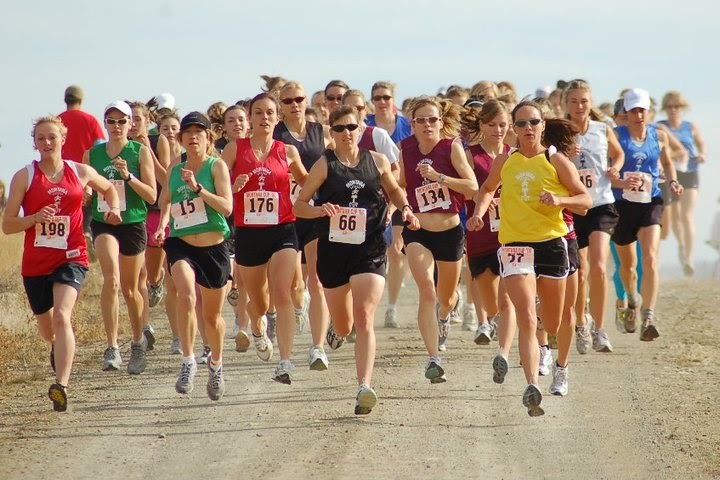 "The Montana Cup cross-country meet offers an exploration of Montana’s magnificent open spaces. It is not a road race, nor is it an ultra-endurance trail run; it's a team event, which brings together runners from all of Montana’s cities for competition, racing across country, for the glory of claiming a 'traveling trophy'"
On Saturday, November 1, Missoula hosts the 23rd annual Montana Cup. It's an event that's uniquely Montana. 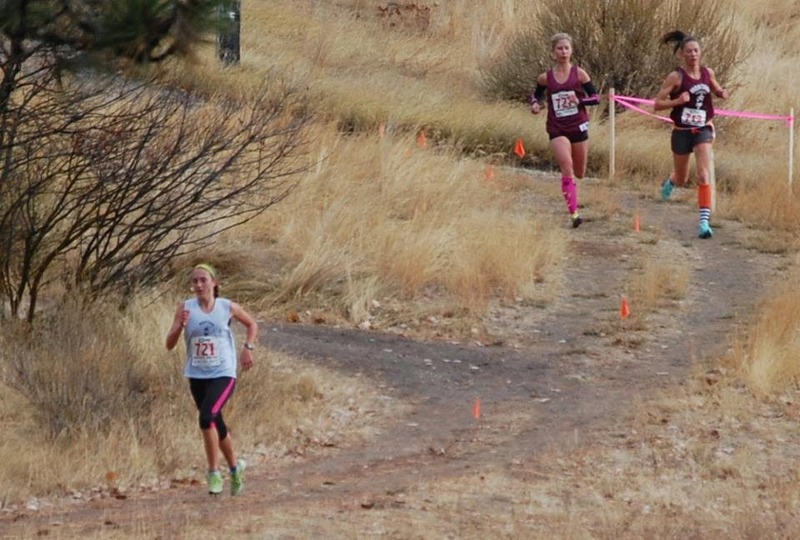 Sure, all-comers cross-country races happen everywhere. But the Montana Cup sets itself apart by being a team competition that divides our massive state into seven distinct regions identified by their biggest city. A different region hosts the race every year, so home field advantage comes in seven-year cycles. The terrain varies from golf-course fast, to horse pasture slow. Some years, it's much more of a trail race than the typical cross country event we know in the U.S. You could call it CC Extreme, a term I've hung on to from my high school days. Back then it meant mixing things up in practice by leaping steeplechase-style over park benches or throwing ourselves off bridges into ponds. There are no park benches in MT Cup, but hay bales, irrigation ditches, and other "obstacles" somehow find their way into course design. ﻿﻿﻿﻿For many of us, cross-county provided the gateway to trail running. Those August morning practices where we racked up our summer miles made an impression. Cross-country kids run through parks, down trails, and some are even lucky enough to run up and down mountains. We did hill repeats up a "mountain" affectionately known as K2. I grew up in the Upper Midwest so our K2 is hardly a mountain in the Montana sense of the term, but after four of five repeats it might as well have been. More than anything, cross-country made running fun and for many of us it planted the seeds for the running adventures we've continued through life. 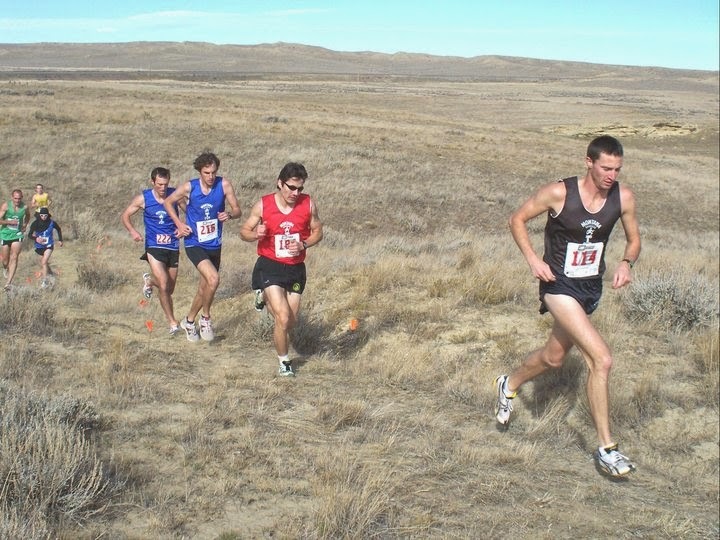 In fact, the founders of Montana Trail Crew (myself, Jeremy Wolf, Jed Rogers, Chris Kollar, and Jason Schlarb) all ran high school cross-country.. The Montana Cup is a chance to bring together old friends and old rivals. Here UM's David Morris and Ray Hunt lead the climb up the flanks of Mt. Sentinel in this 1989 CC Meet. Morris, a freshman at the time, won that day. MT Cup got its start a couple years later on this very course. 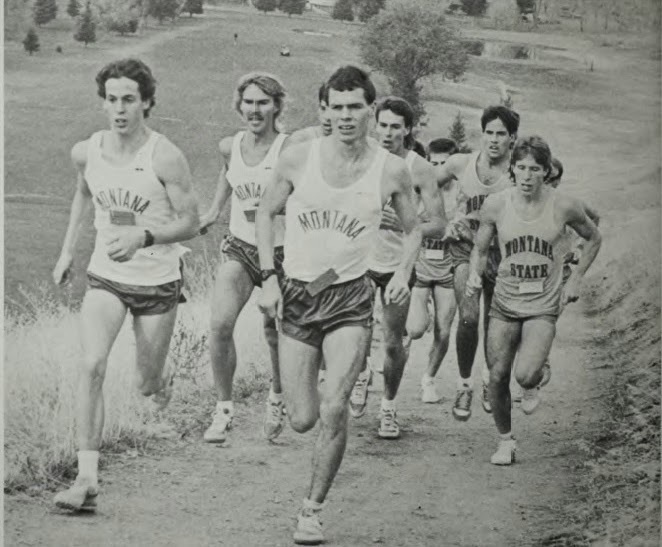 The men in this photo will line up for a rematch at 2014 Montana Cup --25 years later--this Saturday. Andy Jones-Wilkins, Irunfar's weekly columnist, summed up the CC experience well when he mused last year on "The Beauty and Elegance of Cross County." He described a meet he attended where "all the usual cross-country amenities" were on display: "goofy warm-up cheers just prior to the start, anxious first-time parents waiting for their kids to emerge from the woods, staggering salt-depleted kids stumbling off the trail into the hay bales after starting out too fast, spectacular collapses across the finish line and, of course, the inevitable snot-flying, puke-inducing endings when the heart rate finally falls below 200 and eyesight returns." Feeling left out for having missed this coming of age moment as a runner? Fret not, you can run the MT Cup. Join packs of grown men and women doing the exact same things as those CC kids AJW described. All are welcome. And next time you take a run along a city trail and spot a pack of cross country kids headed your way (boys teams being easily identifiable by their lack of shirts in 30-degree temperatures) don't forget to smile, those are future mountain runners coming your way. Alan King... "The King of MT Cup" 7-time All-Montana Team (top 7 finisher), 3-time MT Cup Champ. 1:07 half marathoner. Matthew Winter... Former MT High School AA CC Champ and UM Griz, 2-time All-Montana Team, 2008 MT Cup Champ. Cesar Mireles... All-American at Rocky Mountain College, 2011 MT Cup Champ, 2-time All Montana Team. Diane Cummins (Master)... 1:58 800 meters, Canadian Olympian, MT Cup debut. Rye Palen (Master)... 3-time All Montana Team. Carly Holman... 2012 All Montana Team, 1:23 half marathon. Elizabeth Paddock... 2-time All Montana Team, 2013 Missoula Marathon Champ. Jimmy Grant... 4-time All Montana Team. Mike Foote... 3-time All Montana Team. Representing Hellgate High School and The North Face. 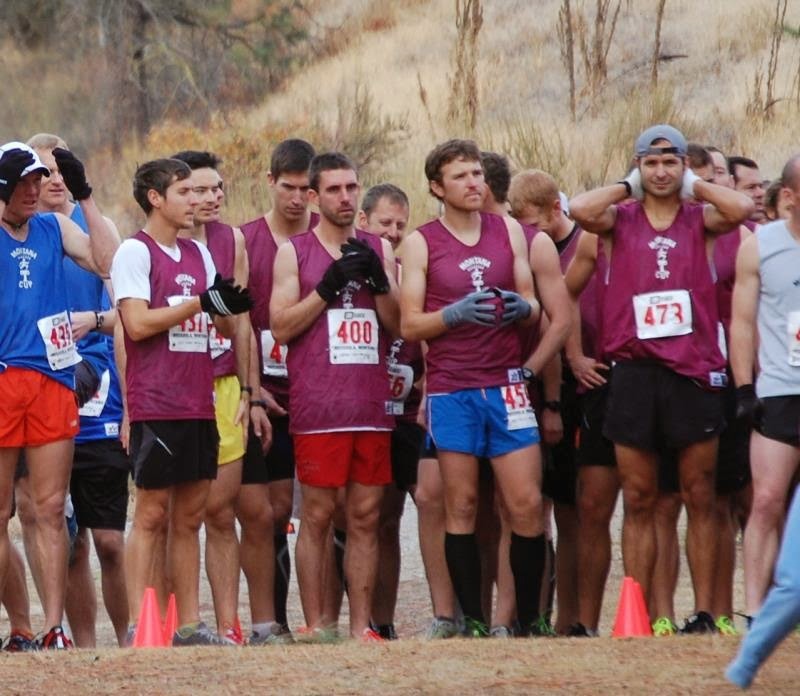 Seth Swanson... MT Cup debut, cross-country debut? 2nd at 2014 Western States 100, 2014 Cascade Crest 100 Champ. Mark Handelman... 2013 Sentinel Hill Climb Champ, 2:33 at 2014 Boston Marathon, 2011 All Montana Team, 9th in 2013. Zachariah Miller... MT Cup debut, 2nd at 2013 Big Horn 100, 2-time Bridger Ridge Run runner-up, 5th and 6th place finishes at Western States 100. Michael Fisher... 2-time All Montana Team, UM Griz, 1:09 half marathon. Tim Caramore... 2014 Riverbank Run 10K Champ, 4:27 at 2014 Missoula Mile. Jesse Zentz... 2:36 at 2014 Chicago Marathon, UM Griz and Big Sky Conference mile champ. David Morris (Master)... 2:09:32 former American record holder in the marathon, UM Griz, NCAA champion at indoor 3000. Patrick Judge (Master)... 5-time All Montana Team. Calamity Seeley (Master)... All Montana Team 1993, pro triathlete. Cynthia Arnold... 2014 Sentinel Hill Climb Champ, 2nd at 2011 Pikes Peak Ascent, former USATF Trail Marathon Champ. Nicole Hunt (Master)... 16-time All Montana Team, 6-time Montana Cup Champ, former U.S. Mountain Running Team member, and Mt. Washington Road Race Champ. Ray Hunt (Master)... 11-time All Montana Team, 1998 Montana Cup Champ. Scott Creel (Master)... 10-time Bridger Ridge Run Champ, 2002 MT Cup Champ, 4-time All Montana Team. Seth Garbett... MSU Bobcat running unattached, 1:07 half marathon. Jim Walmsley... Dominant in Montana in 2014 with wins in all types of terrain, distances, and conditions. 4 Mountain West Conference track titles, 8:41 steeple.